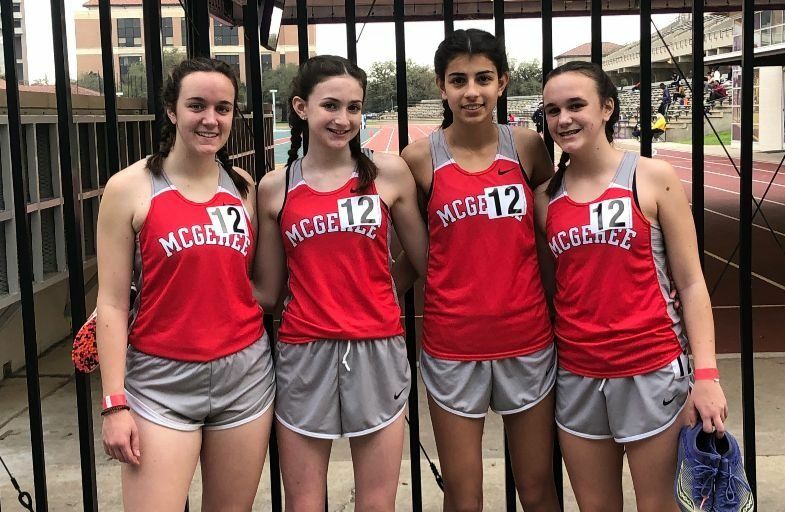 Congratulations to the six McGehee athletes who advanced to the 2019 Indoor Track State Championship meet! This Saturday Ellie Schmidt '22, Conery Schmidt '20, Lara King '22, Olivia Weiss '23, Anna Schmidt '24 and Lucy Henderson '21 competed at the meet at LSU's Carl Maddox Field House in Baton Rouge. We are proud of our team -- Ellie Schmidt '22 placed third in the 3200. And our relay team ran a season's best relay time by 12 seconds!